Below you will find the Morinville News’ editorial policy, code of conduct and website privacy policies. Must Know: These are subjects of broad interest and importance to our readers, including stories on tax matters, bylaws and matters of public safety or public health. We refer to this as Hard News. Should Know: Community news is about what is going on in the community, and we believe our residents should know what programs, events and non-commercial entertainment are going on in the community. We call this Soft News. Nice to Know: You can tell the story of a community by the story of its people. We make every effort to cover stories about our residents and organizations, our faith groups and our service clubs. We also call this Soft News. 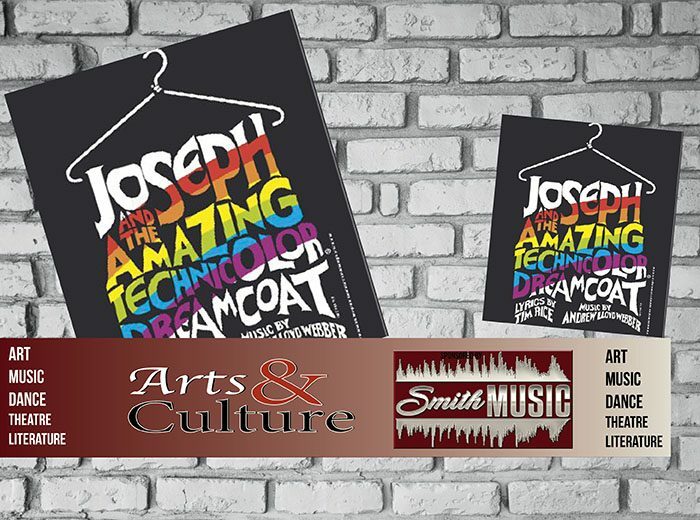 Promoting Your Stuff: We receive many invites to cover commercial undertakings, and while we do our best to cover everything from bake sales to store openings, we cannot be at everything. for as long as news publication have been around, there have been advertorials, which is paid content that is published like a news story. We do publish these in print and video form and they are clearly marked as sponsored content. The Morinville News seeks to find balance in the stories we cover to be of interest to all segments of our community. Hard News – As stated above – Hard news takes precedent and we try to put it towards the front. Soft News – As stated above – You will find this throughout the publication. 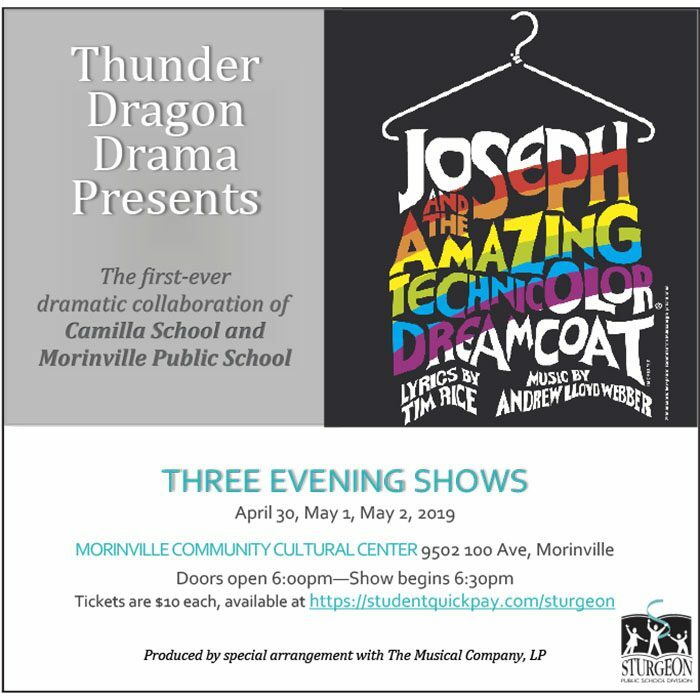 Around the Schools – We make every effort to chronicle essential events and happenings in ALL of Morinville’s schools. Arts and Culture – We provide coverage on visiting and local entertainment, artists, and writers. These stories are sponsored by Smith Music. Sports – We cover as many local sports as we can but are not able to cover every team. We invite coaches to submit their information for inclusion. Seniors – Though not a weekly element of the publication, we make a strong effort to present stories and photos on what is happening in our community with seniors. Faith – Though also not a weekly element of the publication, we do not shy away from covering our faith community and the role they play in Morinville. Food and Health – these articles and recipes, including our Soaring Pig video columns, are sponsored by Sobeys Morinville. Community Champions – This is the name of our People Feature stories, which are sponsored by Champion Petfoods. Here we look at interesting people, groups and organizations in the community who are working hard to build a better community. Photos – From cheque presentations to cool shots, we believe a picture is worth a thousand words, though we generally add a hundred or so to tell what is going on. Journalists are held to a high standard in the community and have many expectations; the chief among these is the expectation of honesty and trustworthiness. 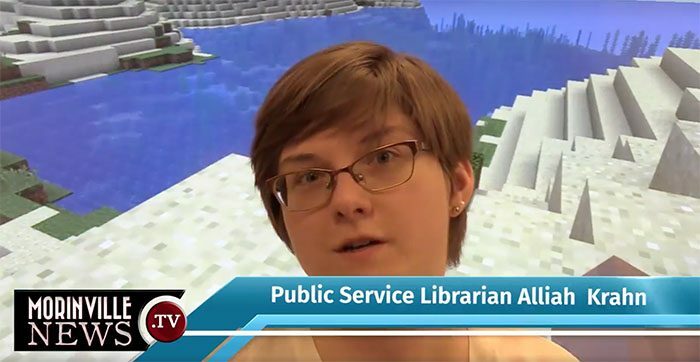 We adhere to a code of conduct based on that of the Canadian Association of Journalists, the National NewsMedia Council, and best practices in the industry. 2/ All interviews are recorded or done by email; all interview subjects are informed interviews will be recorded to ensure quotations are transcribed accurately and in context. We do not alter an interview when it is transcribed; however, we will include parenthetical additions. These are indicated in square brackets. For example: Tom [Smith] is the greatest hockey player on our team.” In this case, the addition is to clarify which Tom the interview subject is referring to. 3/ We avoid allowing personal biases on any issue influence the reporting of that issue. We attempt to present both sides of an issue in our reporting. If the opposition is critical of the government in power, we will seek to get the government’s point of view prior to publication. 5/ Photos videos and audio recordings are not altered in any way that would mislead the public. Composite images, montages and special effects will carry a photo credit and a credit to the designer who altered the image for visual effect. 6/ We respect Freedom of Information and Privacy Protection (FOIPP) and will always ensure with school administration or parents that identified children are permitted to be published in our print and online edition. Reporters, photographers and videographers will wear lanyards when covering larger community events. 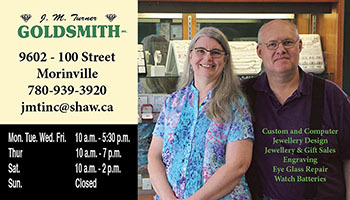 7/ The Morinville News is an independent publication owned solely by Pawn Marketing & Publishing Inc. We do not give favoured treatment to advertisers and special interest groups. 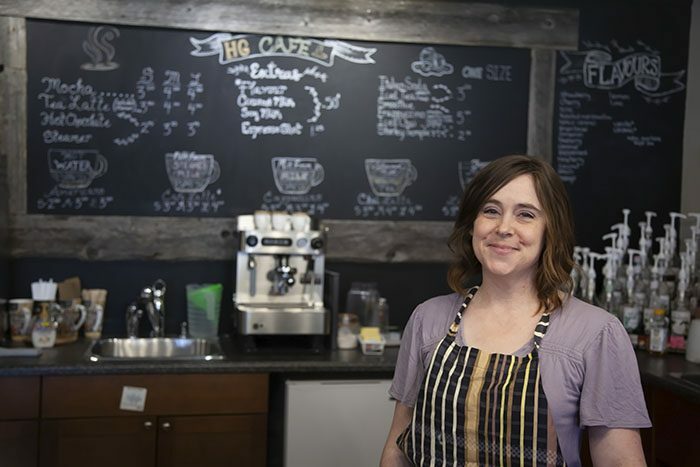 We make a strong effort to do a story on all new businesses that open in Morinville whether they contact us to advertise or not. 9/ If we promise to protect a source’s identity, we protect the identity of that source. 10/ Diversity of content, values and viewpoints are always an aim. Our letters page and editorial space is open to the government in power and the parties that are opposed to the government in power. We welcome letters on a wide variety of topics but will not publish letters critical of how someone was treated at a local business or how their steak was not cooked the way they like it. Such letters are outside our coverage. 12/ The Morinville News answers to the public for our reporting and conduct. Our comments section has as many comments opposed to editorial viewpoints as it does comments in favour. Sometimes we respond. Sometimes we do not. But we always allow comments critical of our coverage to stand. 13/ Mistakes in fact are corrected at the first available opportunity and with the same degree of seriousness. An editor’s note is attached to indicate the change in the article. 14/ Bylines are used on all articles that are purely original reporting. We typically use by Morinville News Staff on any article that is a police report, reworked news release, or game coverage where we have relied on game sheets and or league websites. When you see a byline and the words with files from, it means that the reporter has used past reporting as background in the article. Articles must be written objectively and balanced with no opinion. Columns are the opinion of the columnist, but still must contain factual and fair information. Editorials are the opinion of the publication as a whole. Although opinion pieces, they must contain factual and fair information. 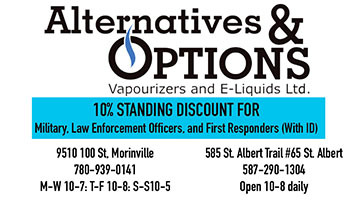 The Morinville News website (MorinvilleNews.com) is committed to protecting the privacy of all visitors to this website. E-mails to the Morinville News are deleted once they have been dealt with. The Morinville News does not collect personal information. E-mail addresses of subscriber’s to our daily e-mail notification are used exclusively for that purpose. Subscribers have the opportunity to opt out of the email list by clicking the link in each mailing. We do not share our e-mail subscriber addresses with or advertisers or any outside organization. The Morinville News uses Google Analytics and WordPress Analytics to record our overall web traffic and to monitor specific details on peak times and peak content. We do this to provide our advertisers with data on how frequently their ad is seen and to provide us with much-needed data on the types of stories our readers are most interested in hearing about. Google analytics provides us with NO access to personal information. Comments made on any of our articles may – in the opinion of the publication’s editor – be more suitable as a standalone letter to the editor. We will e-mail the comment writer to suggest allowing us to publish the comment under its own cover as content. From time to time we will publish select comments online. The name used with the comment will be that used in the published online content. 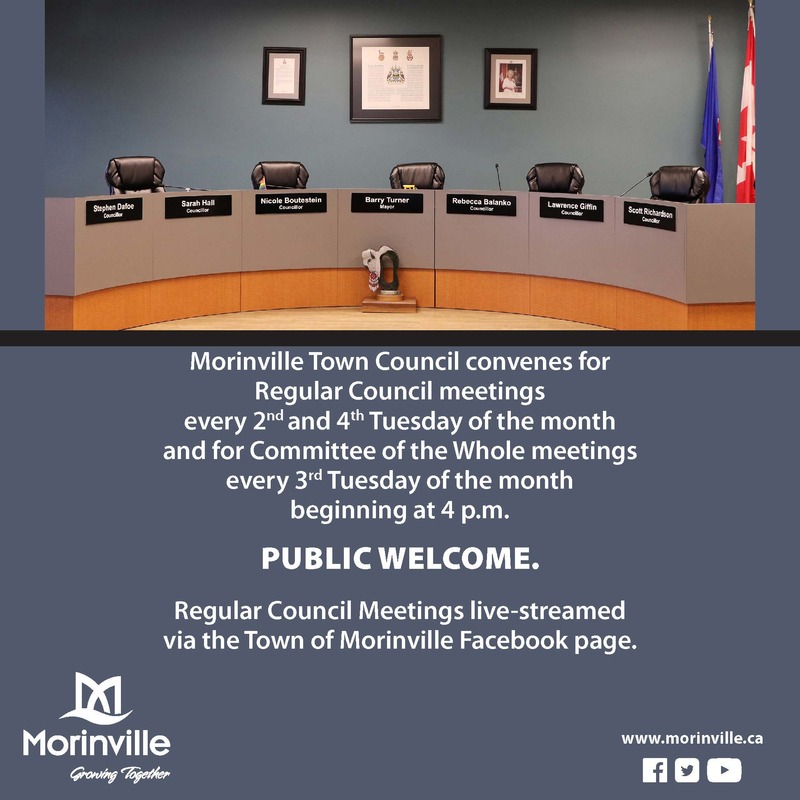 You are welcome to comment on any article on The Morinville News and by doing so you agree to The Morinville News’ comment policy. 1/ You are responsible for your comments and replies to the comments of others. We do not moderate comments 24 hours per day. 2/ We welcome debate in the comments section of our articles; however, personal abuse of Morinville News writers, interview subjects and commenters responding to articles will not be accepted. Such comments may be deleted and commenters may be prohibited from commenting again. 4/ Links relevant to your point are permitted; however, comments with links are held for administrator moderation and approval. 5/ We expect commenters to be respectful of all concerned and to stay on point.